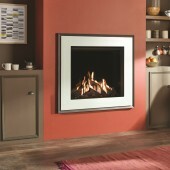 Hole in The Wall Gas Fires There are 150 products. 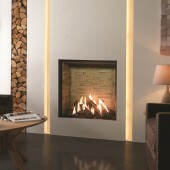 The Studio Edge fire is for those who require minimalist modern perfection. 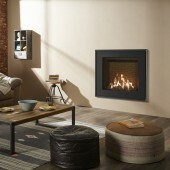 The fire has an eye-catching no-frame design, with the option on the the ultra-contemporary styling to suit the modern home. 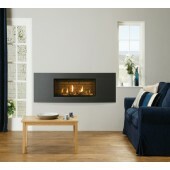 This fire sits comfortably to the edge of the opening with no frame, to give a complete and total minimalist look. The Studio Profil Polished Steel gas fire features ultra contemporary styling that fits in perfectly with modern interiors. Open fronted versions of the Studio Profil feature a white stone fuel bed. An option with the open fronted versions is highly polished, granite interior lining which gives even more style and extra reflection to the flame. Gazco Studio 1 Steel Open Fronted Gas Fire.